Mumbai: Less than one-fourth of India’s population is covered by public or private health insurance, creating a crying need for health cover. Moreover, since India also has a sizeable number of millennials who do not have health cover, insurance firms have increasingly begun using digital tools for easy accessibility and integrating health data with hospitals. 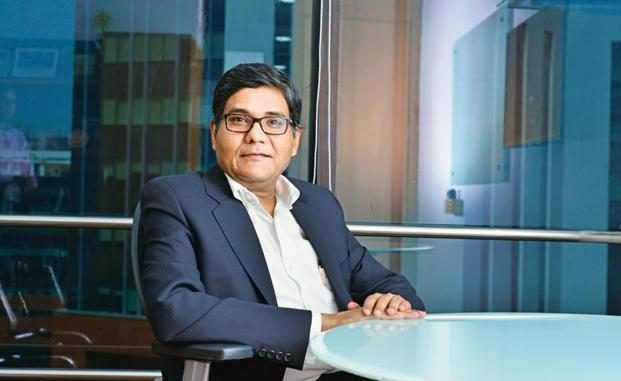 “There is a huge need for health insurance but relatively very low penetration in India,” acknowledged Mayank Bathwal, CEO of Aditya Birla Health Insurance Co. Ltd (ABHI), in an interview in Mumbai. One of the reasons for this low penetration, according to him, is the way a typical health insurance product is sold, which mainly gives the coverage benefit for hospitalization claims. “Healthcare expenditure is much more than just hospitalization, including medical check-ups and doctor’s fee, so more than half the population of the country does not believe in health insurance,” Bathwal added. ABHI is one of the newest entrants in a sector which includes firms such as Apollo Munich Health Insurance Co. Ltd, Star Health and Allied Insurance Co. Ltd, Max Bupa Health Insurance Co. Ltd, and ICICI Lombard General Insurance Co. Ltd.
ABHI, according to Bathwal, is primarily targeting more than half of India’s population that is below 35 years of age with its digital push. The company, which now has around 60 branches and a presence in 34 cities, is relying on tools such as mobile apps, cloud computing, wearable devices and data integration with other entities in the healthcare ecosystem—in addition to products that give insurance cover “beyond hospitalization”—to carve out a niche for itself. “We want to make sure that health insurance expands to cover many more segments and becomes relevant for many more customers than it is today,” Bathwal said. Identifying digital as a differentiating factor in health insurance, Bathwal pointed out that most people in India “unfortunately continue to talk the language of insurance rather than health”. He, however, believes that with digital tools, the situation could change for the better. ABHI, for instance, has launched an Activ Health app. It counts the number of days a customer has been physically active in a month, takes note of their healthy habits and “rewards them based on this behaviour”. According to Bathwal, the app does so in several ways—through integration with wearable devices such as Fitbit as well as with other health apps like Apple Health, the company’s partnership with around 1,300 gyms and even health assessments based on yoga routines. The idea is to initially assign health levels ranging from one to five (five being the highest) and then monitor physical activity by counting steps walked or calories burned so that ‘Health Rewards’ can be given to customers from time to time. The maximum reward comprises 2.5% premium value per month or 30% of premium being given back in a year. According to Bathwal, 80% the policy sales through these multiple modes happen on the company’s “technology platform”. What the company has done is put together a core tech team of about 20 people who work with several specialist information technology (IT) solution providers to constantly integrate the additional solutions provided by them into its “core application”. “The base digital platform is ours. We have bought some technology products but integrated them internally or in-house. For instance, our core health insurance application is a product called HealthBuzz, which we bought from a solution provider. Similarly, we have bought products for customer relationship management (CRM), business process management (BPM) and distributor management,” Bathwal explained. He added that the company also has a customized knowledge management system (KMS) deployed on the cloud for agile sales training, so that the agents do not need to carry any physical paper or brochures for sales visits. The KMS includes audios and videos about the products, frequently asked questions and other material to help them sell. While ABHI tries to “digitize every piece of information” about customers and policies, one area where challenges exist is the still low level of digitization in hospitals—particularly small and medium ones—and the lack of an intermediary “health data exchange or switch” between hospitals and insurers, unlike in the West. “There are some initiatives like Remedinet,” Bathwal said, but it might take “five years or so” for the level of data integration between hospitals and insurers to make a substantial impact. “Data integration is clearly a problem area in the Indian healthcare ecosystem at the moment,” opined Ashwin Moduga, research manager for health insights in the Asia Pacific, International Data Corp. (IDC). He also believes that health insurance companies in India “will continue to face for some time” the challenge of how to get millennials to buy health insurance. “If you look at millennials buying health insurance, it is not showing the growth it should be showing,” he pointed out. As such, according to Moduga, more and more insurers will start “investing in digital tools to make the process of buying insurance easy” for this segment. He cited the example of US-based Oscar Insurance Corp. as a good digital model for Indian firms to study. “That company is famous for really trying to capture the millennial mindset through a simple, easy-to-use and transparent app interface geared to attract young people,” he noted. Furthermore, while use of wearables and incentivizing customers for their physical activities or healthy habits in the insurance sector is “popular in countries such as Singapore, USA and parts of Europe,” the problem in India, besides low penetration of these devices, according to Moduga, is that there is no significant platform that allows this data to be easily transferred to the insurance database. What most health insurers are currently busy with is to reduce operational costs by using technologies such as robotic process automation, he concluded. ABHI, meanwhile, is also focusing on reducing the procedural pain associated with hospitalization in India, especially in terms of patients and their relatives running from pillar to post for different tests, medicines, paperwork, etc. The company has introduced virtual care managers—assistants available on call from Monday to Saturday, from 9am to 7pm—to “create a better claim experience for the policyholders and their families. This “first-of-kind initiative”, concluded Bathwal, makes the whole process convenient for customers.